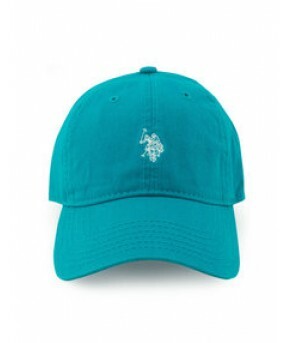 · Small embroidered logo on front. · Embroidered “U.S. POLO ASSN.” on back. · Metal and fabric adjuster in the back.